As you are reading this, over 3 million YouTube videos are already watched, by the people around the world. [source]. YouTube is the second most popular Search engine after Google. But instead of just streaming those funny cat videos there is much more you can do on YouTube. Here are some YouTube URL tricks, you can learn in less than 5 minutes but will be useful for the rest of your life. YouTube doesn’t allow its users to download videos however there already tons of programs and online websites that can do it for you. But why do we bother about those bulky programs when we can easily do that with this simple URL trick, by Replacing youtube with ssyoutube in the video URL. This workaround is not only for videos but you can also directly download YouTube videos as mp3 and listen offline on your mobile devices. 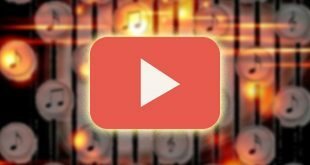 If you are having a party or just want to listen to your new favorite songs on YouTube in a loop, you can easily do so by Replacing youtube with repeatyoutube in the video URL. Update: Now you can simply right-click the video and select loop option. To do that just Replace youtube with nsfwyoutube in the video URL. If you want to use only the thumbnail image of the video on your website or insert in your video as a reference then you can easily get the highest resolution. To do that Copy the video id of the video, for which you want the thumbnail and then paste it in the following URL. For instance, to get the thumbnail of this YouTube. 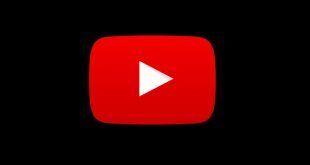 Since all major social network now supports animated gif (not Facebook yet) you will need a quick and easy way to get gif from YouTube video. And the easiest way to do this is by Replacing youtube with gifyoutube in the video URL. Related How to Make Your Own Joker Clapping Gif. In case you are getting 404 error while redirection to these websites then makes sure to remove the https part from the URL. This secure connection tends to block the redirection to third-party websites. Even though these YouTube Tips and Tricks has been there for a while now, but since most of them are not officially related to YouTube they can disappear anytime.